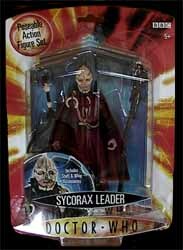 The Sycorax Leader action figure is an incredibly detailed toy - in fact I was really amazed that the attention to detail was as good as it was for a £7 action figure. 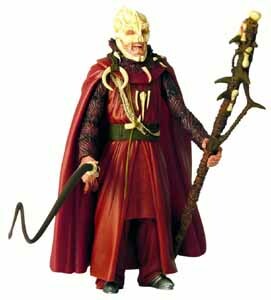 And it's not just the detail in the plastic that is impressive, the paint job and costume are also wonderfully reproduced. He also comes equipped with staff and whip accessories.